The Marado Generation F 1210 is a superb left-handed fishing reel for both the beginner fly fisherman and the experienced angler. 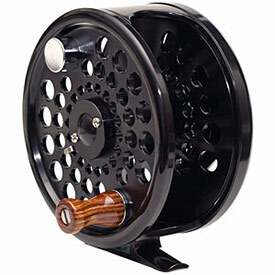 It features heavy-duty machined aluminum construction (with stainless steel main shaft), a 10-12 WT precision barstock, ported one-piece rim control spool, counterbalanced impregnated wood handle knob, clutch bearing and reverse, and large center disk drag. 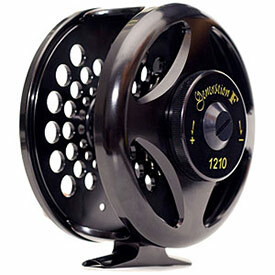 It's the ideal fly fishing reel for any left-handed angler - just add water!